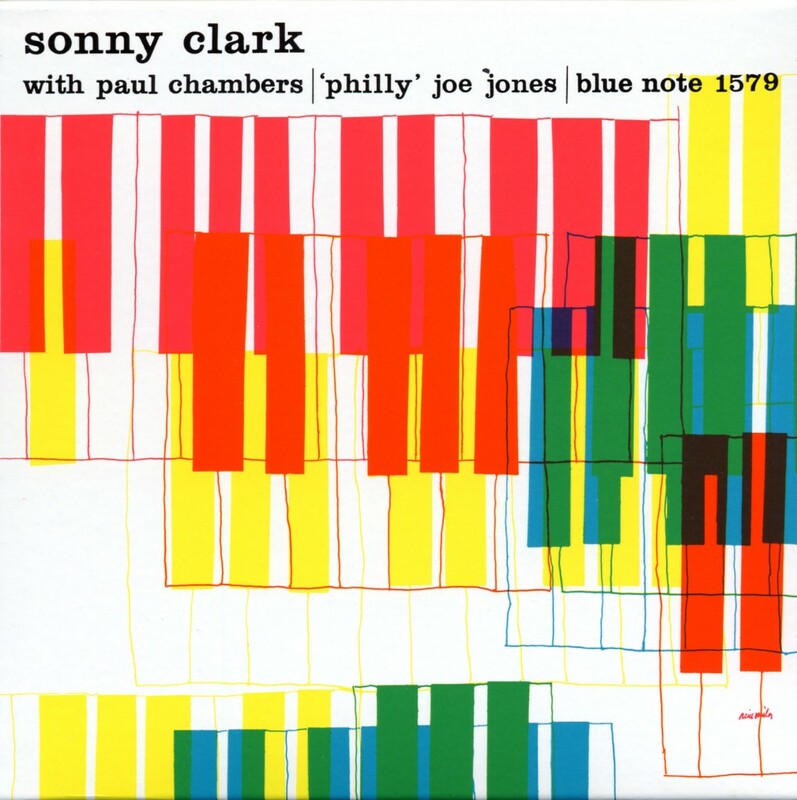 The Sonny Clark cover looks like a Dr. Seuss/Mondrian mash-up. Conrad Yeatis “Sonny” Clark had it all as a musician: he was a great composer and player; he was a melodic and rhythmic; a perfect sideman and competent leader; fiery performer and excellent in the studio; shining & imaginative in a trio setting, complementary & supportive as an ensemble mate. His single-lined lyrical solos were spontaneous compositions that were as memorable as the infectious heads he wrote. He fled from his hometown of Pittsburgh for the “West Coast” jazz scene out in California, before settling in New York. He began his association with Blue Note in 1957. Sonny recorded 7 albums as a leader and many, many more as a sideman with the biggest names on the label. His best album as a leader is the classic Cool Struttin’, which also boasts one of the most famous album cover in Blue Note history. His next best solo offering was his last as a leader for the label, 1961’s terrific Leapin’ and Loapin’. The Trio record featured here, boasts the best rhythm section of the day – “Philly” Joe Jones and Paul “Mr. P.C.” Chambers, from Miles Davis’ first great quintet. I just adore this colorful & pianistic artwork and have the LP framed in my living room! Dexter Gordon. What can you say?! Our Man Dex was already a huge star before he made his big comeback on the Blue Note label in 1961. He recorded rather extensively for the label through the mid-60’s, including some all-time jazz classics. He also showed up on the label in the late 70’s and again in the mid-80’s. From his Blue Note years, the 1962 album Go is considered a timeless masterpiece (and also has great cover art). 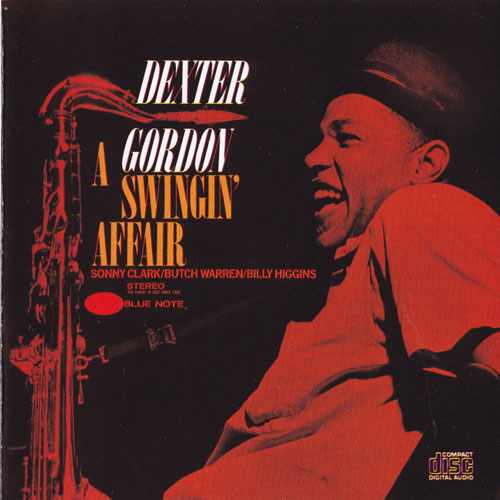 Incidentally, the album featured here today – A Swingin’ Affair – was recorded the very next day, with the same exact lineup (that included Sonny Clark on piano). The year before these 2 sides, Gordon released his 2nd Blue Note offering, Dexter Calling, with the Philly Joe/Mr. PC rhythm section and Kenny Drew on piano. This happens to be my favorite Dexter record and another classic cover. All 3 Dexter albums I’ve mentioned here are framed and on the walls of my house (living room, den, bedroom)!